We value our customers. Thank you for trusting us since 1992! Our company was founded in 1992 by Mickey Bennett. Mickey founded Advantage Kwik-Dry, Carpet & Upholstery Cleaning with a promise to deliver the most outstanding experience possible with a service company. So far we have done just that. We offer you our guarantee to deliver exceptional service on all levels: from when you place the call to book your appointment, to when a technician arrives to clean your residence or business. Advantage Kwik-Dry is a full-service cleaning and restoration company. Our water damage division, Flood Pros, can help you with all of your water damage needs. From water extraction to full reconstruction, we can handle it all. No job is too large. Give us a call today! Advantage Kwik-Dry is a fully equipped cleaning and restoration company capable of servicing even the largest of buildings, such as high rises, hotels, and corporate enterprise. Advantage Kwik-Dry has a full-service restoration division as well: Flood Pros. Chris; General Manager, 7 Years with Flood Pros and over 14 years in the Industry. Chris is never hesitant to get in the field with our Techs. IICRC Certified and a great asset to our team. Owner of Flood Pros and Advantage Kwik Dry. Mickey treats his clients and customers like family. He is proud to say that he has built his companies from the ground up, and through hard work, dedication, and being a fair and honest business man, he has been in business with A+ Rating for over 25 years!! Mickey: Owner of Flood Pros and Advantage Kwik Dry. Mickey treats his clients and customers like family. He is proud to say that he has built his companies from the ground up, and through hard work, dedication, and being a fair and honest business man, he has been in business with A+ Rating for over 25 years!! Meet the Advantage Kwik-Dry Team! We have committed ourselves to gaining the highest level of education and we strictly follow the cleaning procedures that your carpet manufacture recommends. Advantage Kwik-Dry provides a positive and rewarding cleaning experience. We have the knowledge, the training, we use the safest products; and, we utilize the latest technology to make your carpets, tile and grout, and upholstery all look amazing. 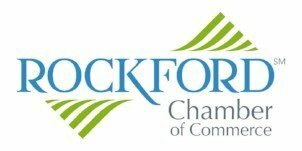 Rockford Chamber of Commerce has helped the Rockford Community for over 100 years, helping businesses grow and network!! We are proud to be a part of this organization to help the community! IICRC, the Institute of Inspection, Cleaning and Restoring Certification, is a nonprofit organization that develops and publishes standards detailing the proper procedures for safe cleaning and restoration. Proud to say ALL of our Tech’s are certified! !